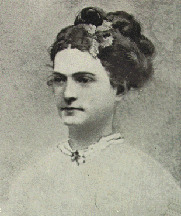 Eliza Frances Andrews, b. 1840 The War-Time Journal of a Georgia Girl, 1864-1865. New York: D. Appleton and Company, 1908. Andrews, Eliza Frances, b. 1840 -- Diaries. Girls -- Georgia -- Wilkes County -- Diaries. Upper class -- Georgia -- Wilkes County -- History -- 19th century. Women -- Georgia -- Wilkes County -- Diaries.